Don't need to mention, how easy apps has made our daily life. Need a load-shedding schedule or daily news, want to know the miti or ththi, rashifal, foreign currency exchange rate, apps have made if possible on a finger tips. You can buy goods online via apps, don't know the meaning of the word then you can see on your smartphone. Apps have made possible for everything. 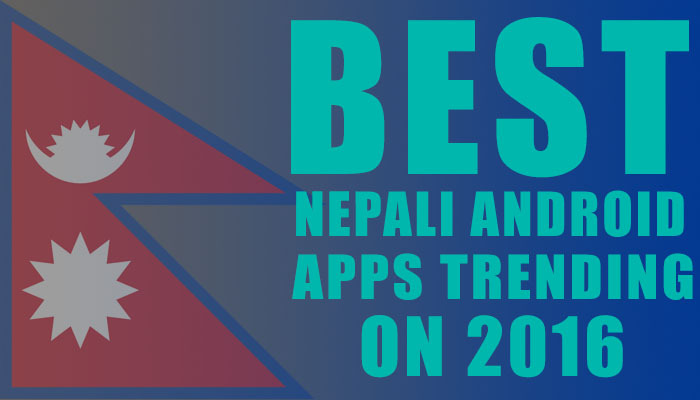 We are featuring the best Nepali android apps that are trending this 2016 / 2073. They are best, helpful in your daily life and all apps are for free. You can use them on your Android device. So, here are the list., Note : All apps are arranged on random order. This app shows current Nepali date/time and Nepali Calendar including public holidays, festivals, and other important events. In addition to calendar feature, this app shows current forex values . Another important feature is ability to convert nepali date (BS) to Gregorian (Western) calendar (AD) and vice versa. Celebrate the important days, events and Nepali Festivals with all new e-cards. Share dashain tihar ecards with your friends and family. Listen the online nepali radio and FM player from around the country, see the loadshedding schedule. You don't want to miss this apps, there are lot's other features. 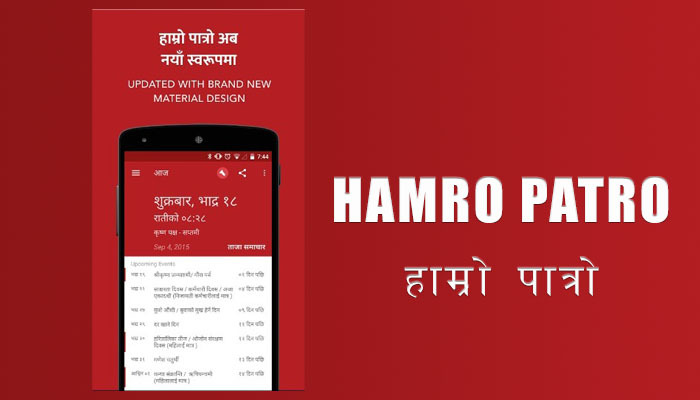 Hamro Keyboard is a Nepali keyboard for all of the Nepali who love Nepali language. You can use this keyboard to write Nepali text in any app. No need to copy and paste. 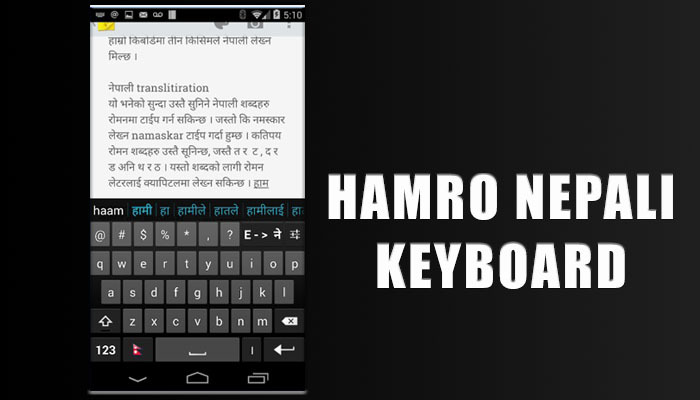 With Hamro Nepali Keyboard, you can type Nepali directly to any app. It support three keyboard layouts, Unicode Transliteration, MPP based Romanized layout and traditional layout. It also support Emoji and Numeric Keypad with the latest update. 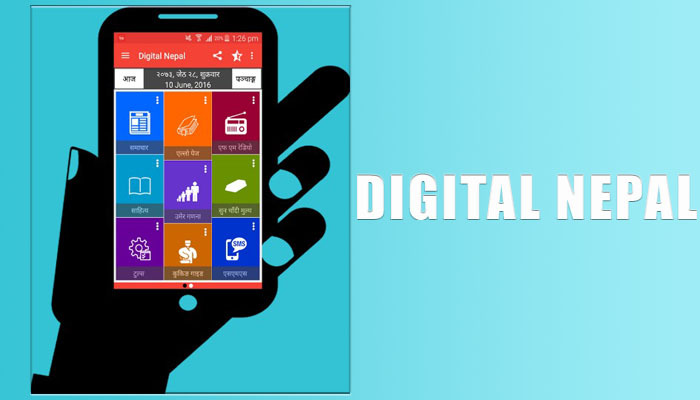 Digital Nepal apps is the complete app for Nepal and Nepali Community. It is the complete package for Nepali users with many features. Get notice about Job Vacancy, listen more than 300 Nepali online FM / Radios, get the latest news feed from top Nepali news portals. Get you daily, weekly, monthly and yearly rashifal in Nepali language. You can also see the current Nepali time and date with panchanga, it has the complete business directory of Nepal. If you are the food lovers then Cooking guide might help you. For literature lovers, it has more than 5000+ literature included. Get the load shedding schedule, gold silver price, nepali vat calculator, foreign exchange rate etc. 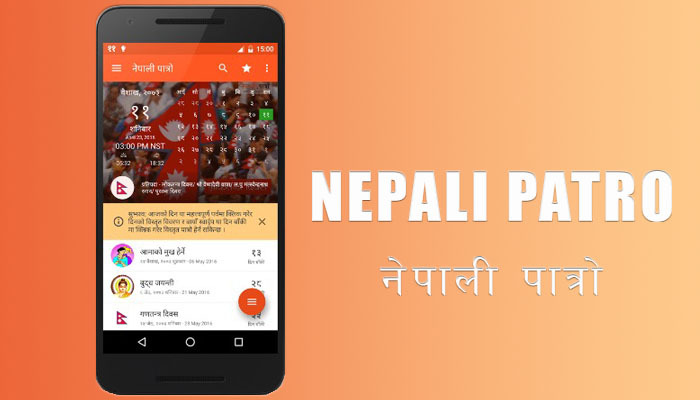 Nepali Patro is the best apps to stay connected with Nepali dates, events and festivals. Other features include date converter, foreign exchange rate. Get daily, weekly, monthly, yearly rashifal. Get info about marriage and bratabanda suva saits, news feed etc. 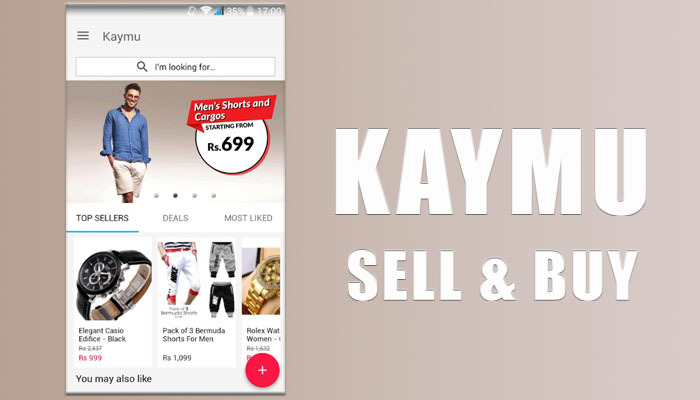 Kaymu is the online shopping App. It connecting thousands of buyers and sellers in Nepal in order to get the best deals just in a few clicks. You will find a broad range of product categories in order to enjoy of the best online shopping offered in the market. Do you look for a pleasant shopping experience? Save your product searches and put them in the Wishlist, get amazing discounts, track the product shipping and share your purchases with family and friends. Of course, you can pay by card or cash on delivery. It has never been so easy. Create your account in less than 2 minutes, set your product listing up, reply to customer’s inquiries in real time, obtain customized reports on your sales, and benefit from thousand of potential customers willing to buy. 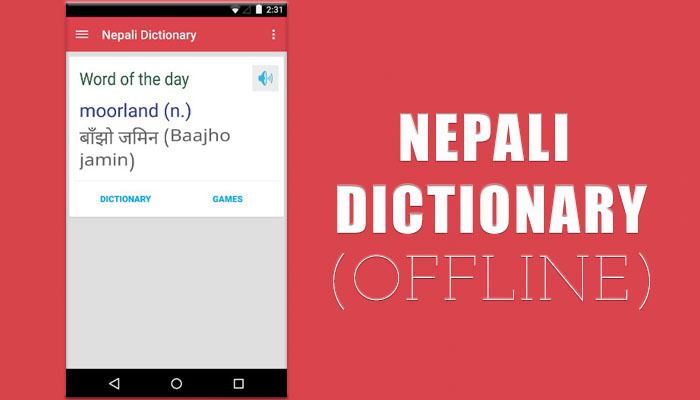 First offline dictionary for Nepali Language. It's a two way dictionary, that means it is Nepali-English dictionary as well as English-Nepali dictionary. Completely offline, once you download the dictionary file, you can use Nepali Dictionary without internet connection. It includes Word Game (Hangman), offline file update mechanism, word of the day feature, spoken word pronunciation, dictionary file stored in SD card and first ever word search game in Nepali. 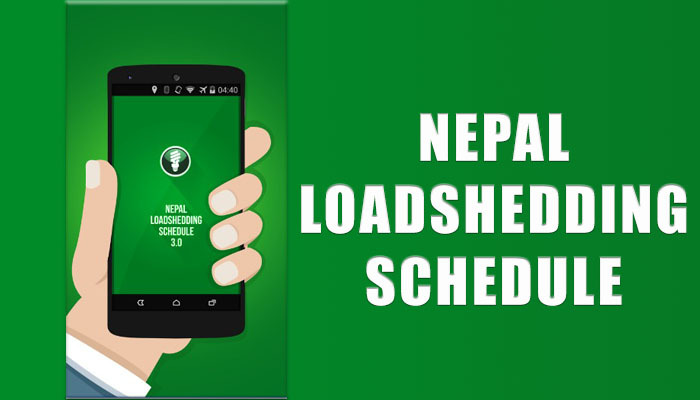 This apps helps to view and track daily load-shedding schedule in Nepal for all the android smartphones and tablet users. You can set your loadshedding GROUP, view the schedule along with Power ON/OFF status, remaining COUNTDOWN time and the NOTIFICATION regarding the upcoming power cut. Read All Nepali News in one app. 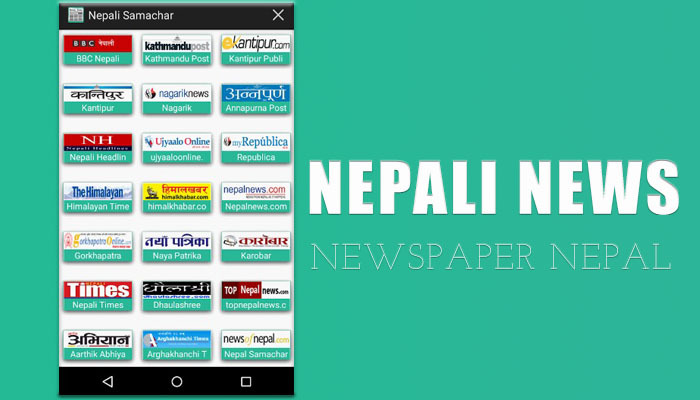 This app has listing of 40 Nepali Newspapers of Nepal. Its simple, easy, clean and fast Nepali news reading app. The listing newspaper includes BBC Nepali, Kathmandu Post, Kantipur Publications, Nagarik. Annapurna Post, Republica, Himalayan Times, Gorkhapatra, Naya Patrika, Karobar and many other local and national newspaper. 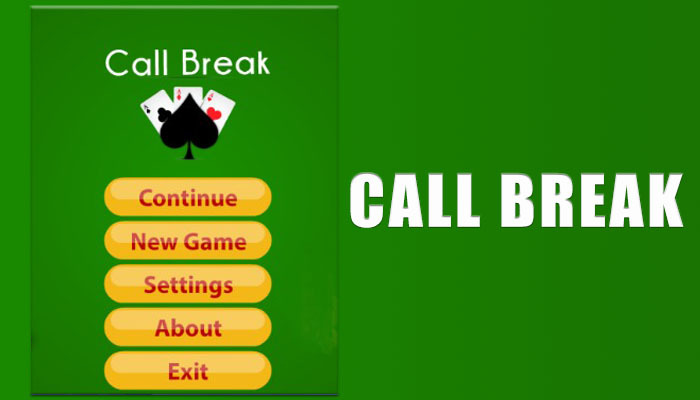 Call Break is a strategic trick-based card game similar to Spades. It's very popular in Nepal. The vintage game of cards features 4 players with 13 cards each to offer virtual gaming experience. There will be five deals/round in a game. Starting a game with a bid/call, a player can compete against 3 computer players with effective artificial intelligence. 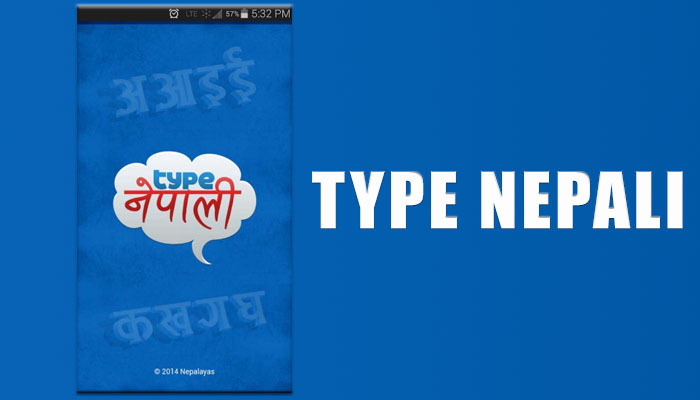 Type Nepali app provides an easy way to type in unicode Nepali right on your mobile device. Type romanize Nepali words in the text box on homepage. As you press spacebar, the words will be converted into unicode Nepali and displayed inside the text area above. When done typing, press "Select All" from menu to highlight then press "Copy" and Paste where needed. So, these are the best Nepali android apps trending on 2016. Are you using any of these apps. Let us know in the comment. Don't need to mention, how easy apps has made our daily life. Need a loadshedding schedule or daily news, want to know the miti or ththi, rashifal, foreign currency exchange rate, apps have made if possible on a finger tips.